Preparing for the Winter…and Guests! Got family and friends crowding into your home for the winter? We all know that leaving our comfort zone for another place to live in for a few days can be stressful. That’s why this blog is going to show you how to prepare your house to accommodate heavier usage than it usually does. With more people in your home than normal, there may be a small flaw you may have gotten used to, but could put a damper on your guests’ stay there. Here are some easy, quick fixes that are essential for getting your home into tip-top shape. This can be a real detriment to those visiting, and granting them the comfort of a great shower can help make living under your roof a lot easier. If this is a problem since you’ve had the showerhead installed, it could be the fault of the plumber who installed the system. If this is a new problem, it is most likely hard water deposits. Turn on your shower with the showerhead detached. If the water pressure is satisfactory, then clean out the parts in your showerhead. Soak the unit in a warm water and white vinegar mix. Use a toothbrush to remove all of the mineral deposits. If the water pressure without the showerhead is still low, you’ll need to flush the lines. 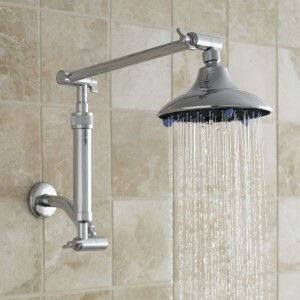 You can also try buying showerheads design to handle low water pressure. This problem can be one of the most damning, causing your guests to crowd into other bathrooms if the sink in question becomes too problematic. If the clog slowly drains your best bet is to detach the P-trap (the U-shaped pipe under the sink), clear it and reinstall it. A number of things can go wrong with a toilet. -If it has a hard time flushing away all of its contents, open up the tank and look at the chain. If it has more than a half inch of slack shorten in. If the float arm is too low, carefully bend it upwards. -If the toilet won’t flush, check to see if the chain is connected correctly. If it is, make sure the handle is connected . -If the toilet runs water constantly, check the handle’s locknut. Loosen it if it’s too tight, or vice versa. If the chain is tangled, this can keep the water running. -Check the float ball to see if water is inside of it, or if it has cracks. Replace it if you find any. If you’re going to have children in the home, check your knob pulls for all the cabinets, drawers and doors. If any knob has a loose screw, try using Loctite Threadlocker Blue. This lets you essentially glue screws back into place but still be able to unscrew it if you need to in the future. It’s a tricky little bit of science that makes it work, but it has yet to fail me. 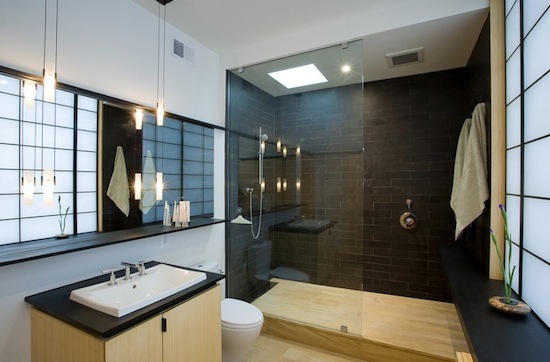 Air that leaks in from outside during the winter will definitely make a bathroom uncomfortably cold. Sometimes you may just have to resort to new weather stripping which is not the easy way. A quick fix is adding another sash lock. Using one will keep the window tight to the frame and prevent outside air from slipping in. Remove the old one, and plug the screw holes with a bit of wood and wood glue. Now install two locks about 1/3 of the way from the edges of the window on each side. Remember to drill pilot holes and install the locks already linked together. If there is a shaking or rattling sound, you most likely have a loose cover. Gently take it off and bend the metal tabs slightly that hold it in place. Adjust them until a tighter fit is achieved. When it’s off, clean the inside as well. If the fan sounds more strained that usual, cleaning it of dust and debris will help it work easier. Check to see if the central axle needs grease. This is another comfort fix that will also save you money in the long run. Turn off the water before you start. There should be a shutoff valve underneath the sink so that you don’t have to affect the rest of the house. Plug the drain or put a rag on the drain so you don’t lose a screw down it. Now unscrew the handles. Some have a cap over the screws to hide them for aesthetic reasons, so they may have to be pried off gently. After it’s off, there should be a washer behind where the handle rests. Remove it if there is one, if there is none, add one that fits snugly around the thermostat. Replace the handle and screw it in tightly, and then turn on your water. Problem solved! Contact iBathtile today to get your updates! This entry was posted in Alno, Americh, Aquabrass, basin, Bath tubs, Bathroom, ceramic tile, Duravit, Duvarti, eco-friendly, Faucets, Feng Shui, Ginger, Glass Tile, Graff, Hamat, Hansgrohe, hardware, Hastings, Herbeau, hydro systems, Kaldewei, Kitchen, Lefroy Brooks, luxury, modern, MTI, Newport Brass, Porcelanosa, Samuel Heath, sensual, Sienna, Stone Forest, Sunrise, tile, timeless, Uncategorized, Valli &Valli, Vola, Watermark, Whitehaus, Zen, Zuma Bathtubs and tagged Bath, design, faucets, iBathTile, modern, sinks, toilet by iBathTile. Bookmark the permalink.